LEESBURG, FL – The Dozier Circle entrance to Venetian Gardens will temporarily close to traffic starting on Monday, March 25 for construction related to the new Leesburg community building. The work is expected to take 45 days. During the road closure, the boat ramp at Venetian Gardens will be inaccessible. Boaters can utilize the ramp at Ski Beach during this period. Venetian Cove Marina, Pat Thomas Stadium and the Cultural Arts building will all remain open. 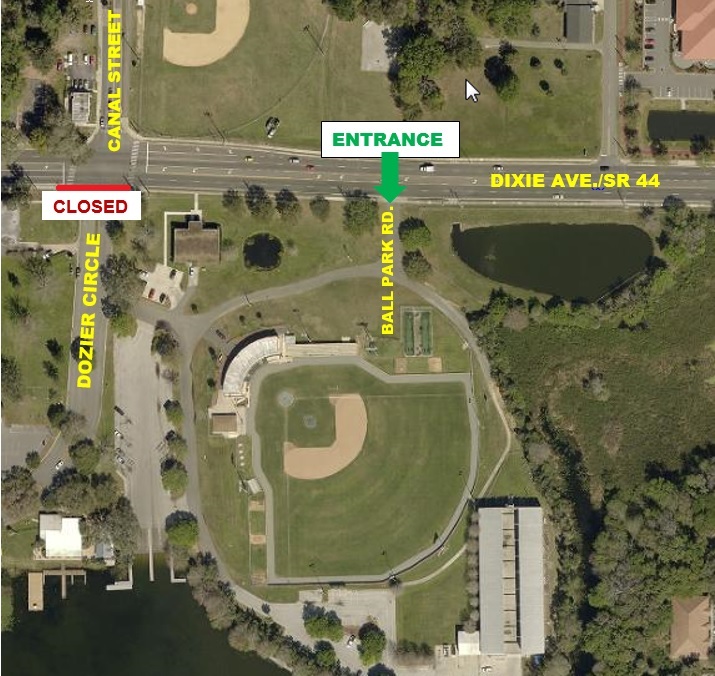 Visitors to those facilities must use the Ball Park Road entrance, just east of Dozier Circle. Signs will be posted marking the entrance location. Drivers should note that access to Ball Park Road is only available from east-bound Dixie Avenue (State Road 44). Leesburg is a progressive city of more than 23,000 residents in northwest Lake County. The city government serves twice as many people with its electric, gas, water and wastewater public utilities. Leesburg also is a central hub for commerce, attracting 50,000 people to work each weekday. For more information, visit www.leesburgflorida.gov.